Tyler Ray Bell is most likely sorry he invited investigators from the Baxter County Sheriff's Office to check out his boat. 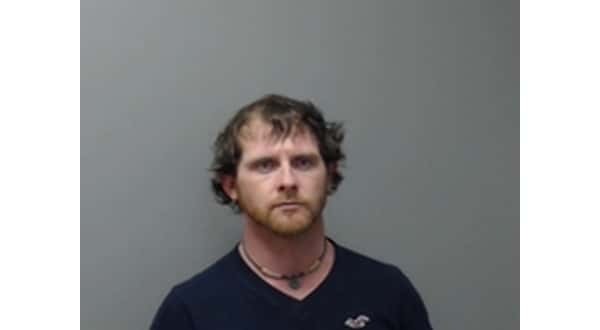 The 33-year-old Bell appeared during a session of Baxter County Circuit Court Thursday and entered a not guilty plea to charges in two new cases and another seeking the revocation of a suspended sentence handed down in an earlier case. According to the probable cause affidavit, the investigators arrived at a Henderson residence searching for people wanted on outstanding warrants. While visiting the home, they encountered Bell. Bell told the lawmen he was waiting on his son so the two could go fishing. At one point, in what was described as a friendly conversation, Bell invited the investigators to take a look at his boat. They took the Mountain Home man up on his offer and immediately saw items in the boat appearing to match those reportedly stolen from a private dock in the Hand Cove area. The theft was reported Dec. 7th last year. The investigators said they observed a number of rods and reels, trolling motors, batteries and other marine and fishing items. The lawmen said they casually looked at the items in the boat and photographed them. Photographs were sent to the two victims who lost property in the theft at the dock. The victims recognized items in Bell's boat as belonging to them. Total value of the property stolen from the two victims was estimated at almost $1,300. A second case against Bell stemmed from a Dec. 19th compliance visit by parole and probation officers to the residence in Henderson where Bell and two other probationers lived. All three had warrantless search waivers on file. During the visit, a number of items of drug paraphernalia were found, including syringes and digital scales. In the dining room of the home, officers found a piece of notebook paper containing what appeared to be ledger-type entries documenting the sales, purchases and trades of illegal drugs. The paper contained a record of money owed and funds received for various controlled substances. There was also documentation of a trade where drugs were paid for with a chainsaw. The investigation continued until information was developed to allow a probable cause affidavit to be written and warrants issued. Bell was not immediately located. He was found Jan. 10th by the Arkansas State Probation and Parole Special Response Team at a residence in Cotter. Bell told the court he was hiding at the Cotter residence because he was "ashamed" of what he had done. In both new cases filed against him, Bell is charged with two counts of felony possession of drug paraphernalia, as well as three counts of felony breaking or entering and misdemeanor counts of theft of property and criminal mischief. Bell is also facing the revocation of a suspended sentence in a 2014 case where he ran afoul of technology when he and a co-defendant attempted to rob a residence on Westridge Road in the last days of 2013. The homeowner was out of town at the time, but his security system alerted him of a possible break-in at the Westridge Road property. The owner accessed the security system cameras and saw two men in his home and called the sheriff. Video footage of the break-in provided by the homeowner assisted investigators in developing Bell and his co-defendant as suspects. Bell eventually pled guilty and was put on probation for 10 years in September 2014. According to the petition to revoke the suspended sentence, Bell is accused of failing to report to his supervising officer, avoiding all contact with probation and parole officers and failing to pay supervision fees. Bell's bond was set at $5,000 by retired Circuit Judge David Laser, who was sitting in for Judge Gordon Webb. He was ordered to reappear in circuit court April 18th.